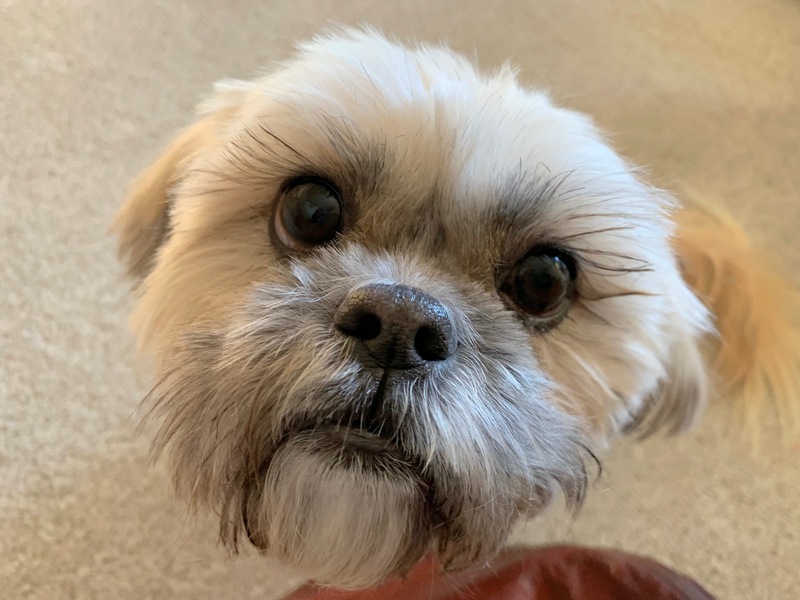 For this Omaha dog training session we shared tips to help 2 year-old Shih Tzu Lilly stop getting over excited and knocking children down with her running and jumping behavior. Lilly is a really sweet dog, but was confused about her position due to a lack of rules and structure. I shared some tips that should help her start to see her guardian acting like a leader through her actions. The guardian was also inadvertently reinforcing some bad habits by petting Lilly when she was over excited or jumping up to ask for attention. Anything your puppy is doing when you pet it is what you are rewarding them and therefor, motivating them to repeat. So when the grandchild arrived, her jumping up was a pretty natural response for the dog. Instead I suggested the guardian practice my petting with a purpose method and use passive training to reward Lilly when she offered behaviors the guardian liked. One of the other problems the guardian had was Lilly getting over excited and knocking over her young grandchild when she came to visit. I showed the guardian how to train Lilly to move away from the door when there is a knock or door bell rings, as well as tips to stop the dog from knocking the child over. The dog behavior tips in that video will help prevent future jumping and knocking down of the child, but many of the other small changes I suggested will be equally important. To help the guardian remember them all, we filmed a roadmap to success video at the end of this at home dog training session.